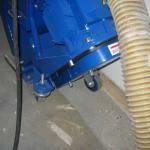 The Blastrac 1-8DPF40 blast-cleaning machine is perfect for small to medium-sized jobs. 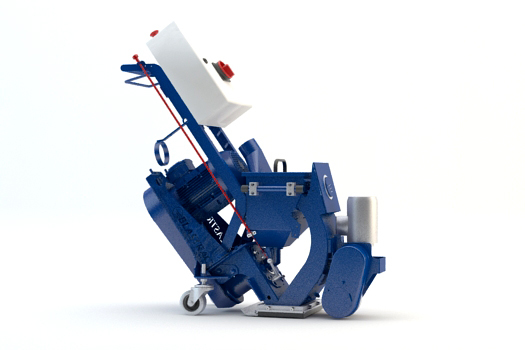 The 1-8DPF40 is a walk-behind machine that when connected to an appropriate Blastrac dust collector provides a virtually dust-free, and friendly environment. 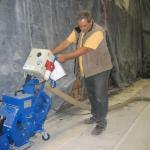 Working width: Ø555 mm | The BMG-555 is a medium sized triple head grinder. 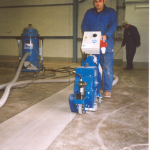 There is no risk of underground deterioration and it can work in places with high hygiene and safety standards. Working width: Ø735 mm | The BMG-735RS MKII is remote controlled and has a solid all metal construction to create the ideal weight.